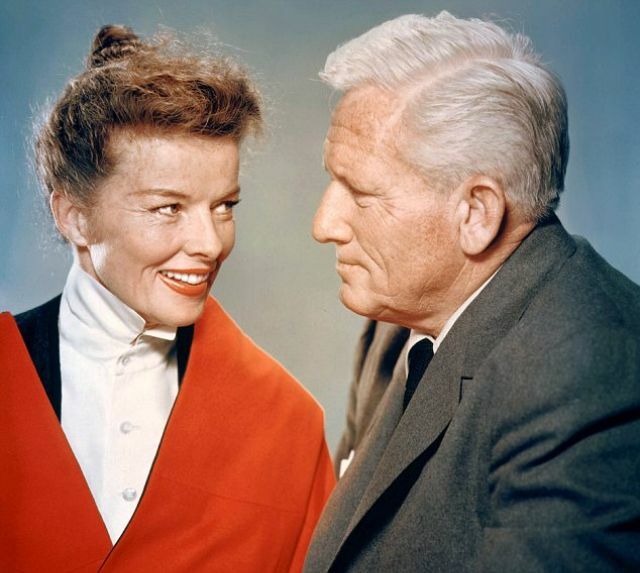 Of all the legendary Hollywood’s love stories and affairs, perhaps the most complicated is Spencer Tracy and Katharine Hepburn’s. 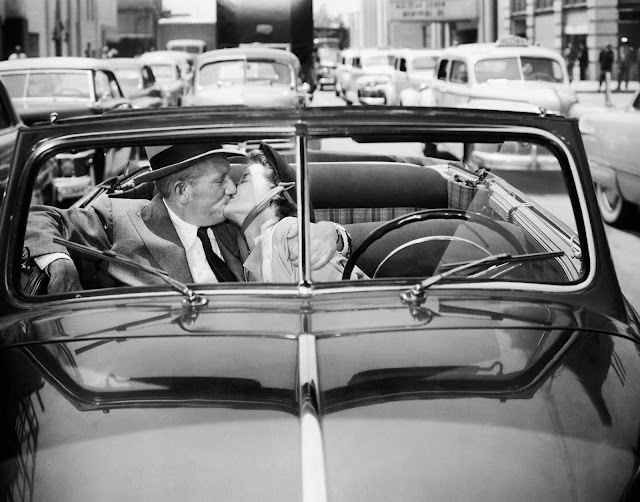 Though carefully concealed from the public, on screen the iconic duo shared their time on total nine different films, starting with the 1942 classic “Woman of the Year” and coming to an end with the ever indelible “Guess Who’s Coming to Dinner” in 1967. 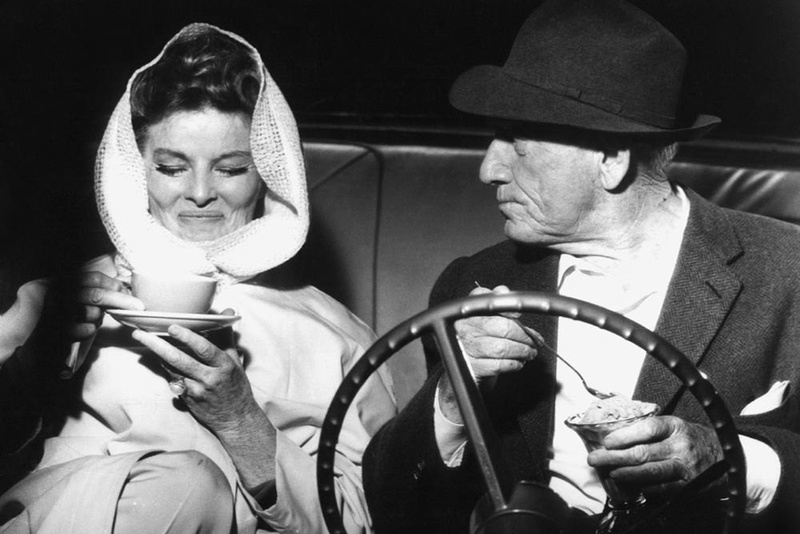 “I loved Spencer Tracy,” Hepburn wrote in her 1991 autobiography, “I would have done anything for him.” Below are 36 photos and stills capturing their intimate moments on screen. 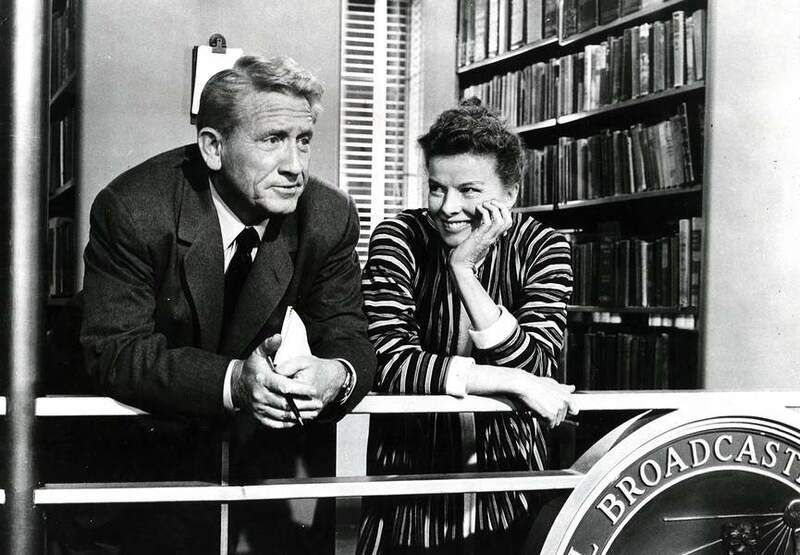 Still of Katharine Hepburn and Spencer Tracy for the film 'Desk Set,' 1957. 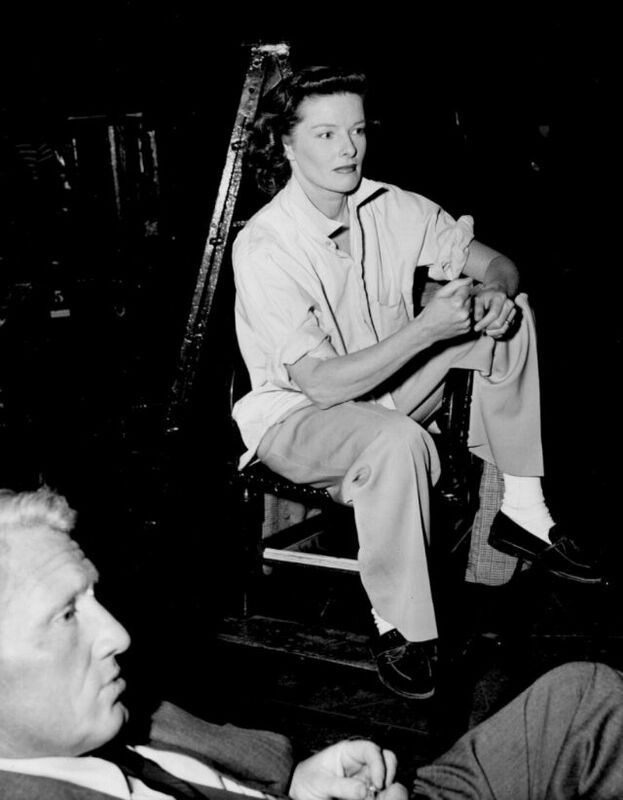 Katharine Hepburn and Spencer Tracy on the set of 'State of the Union,' 1948. 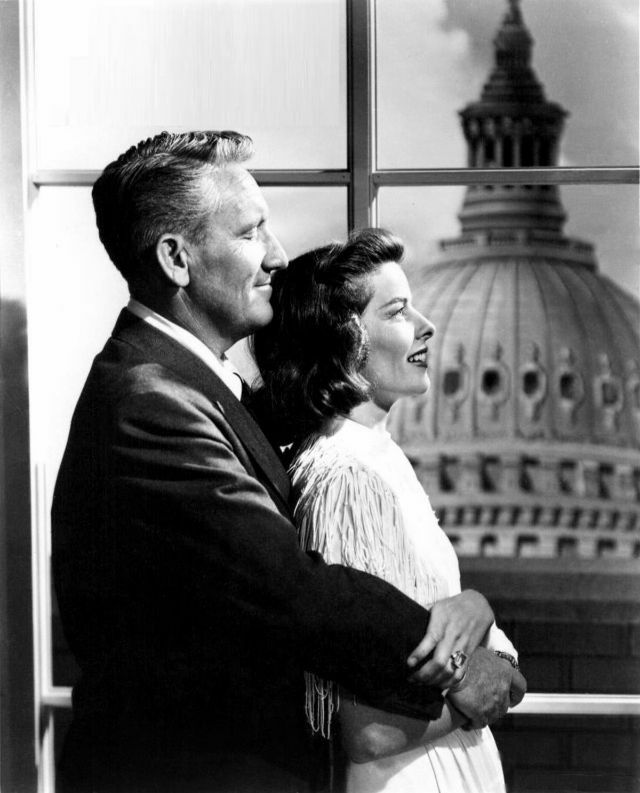 Spencer Tracy and Katharine Hepburn in 'State of the Union,' 1948. 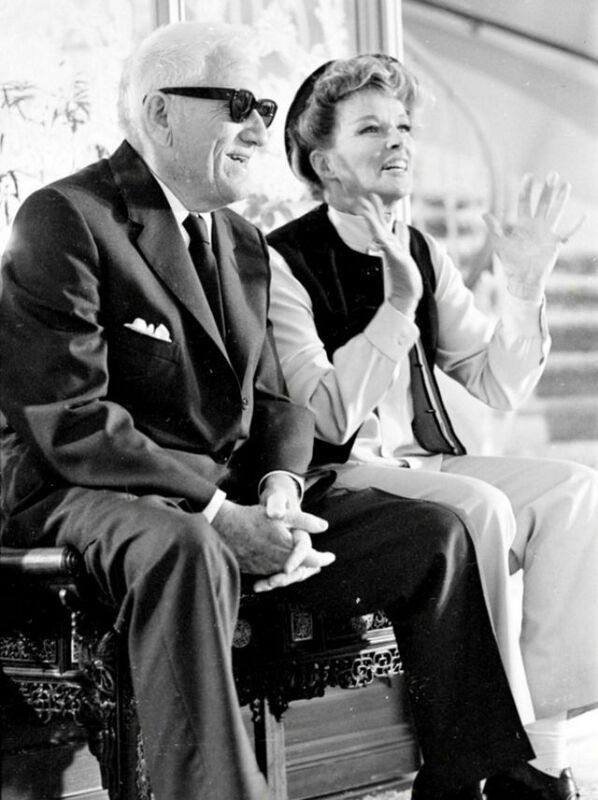 Spencer Tracy and Katharine Hepburn between takes of 'Guess Who’s Coming to Dinner,' 1967. 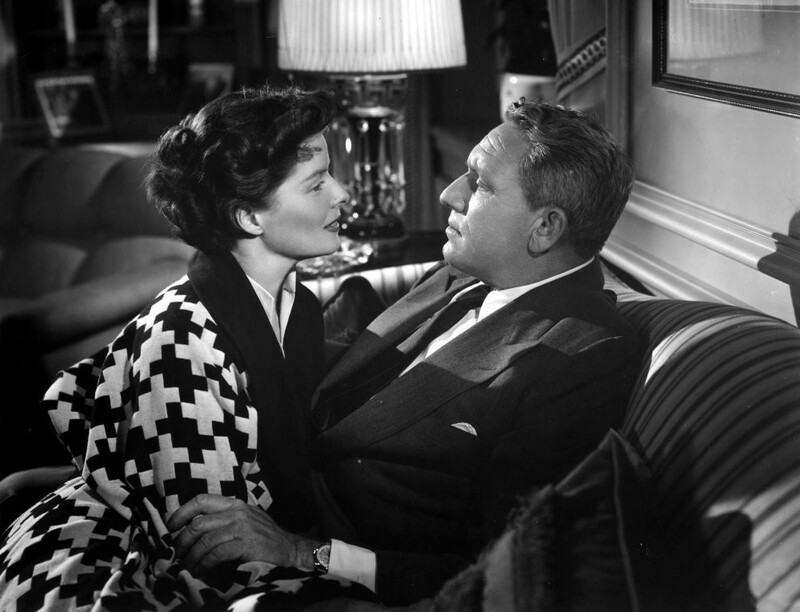 Katharine Hepburn and Spencer Tracy looking into each other eyes in a scene from the film 'Woman of the Year', 1942. 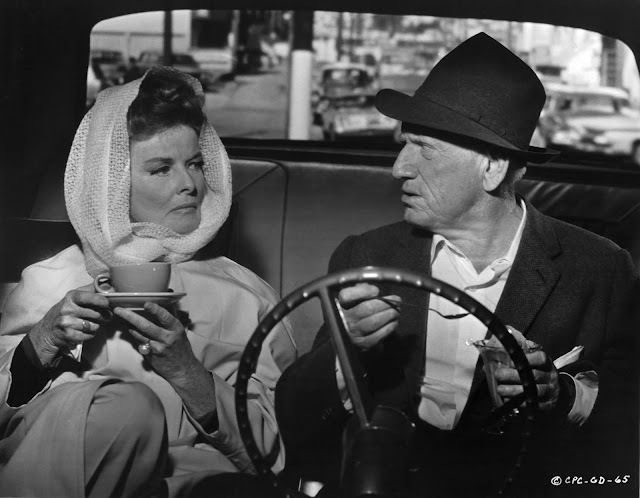 Spencer Tracy and Katharine Hepburn in 'Pat and Mike,' 1952. 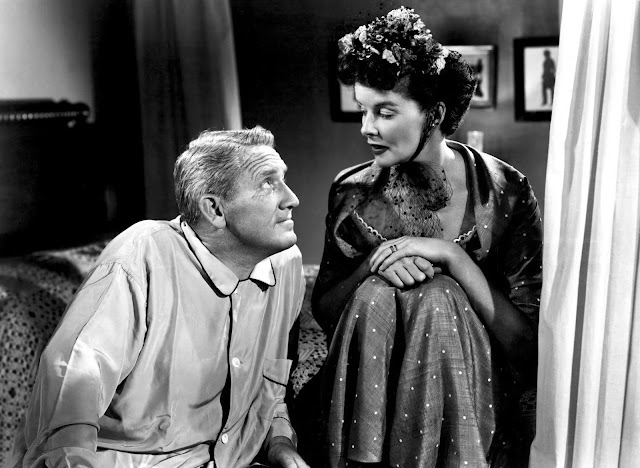 Spencer Tracey and Katherine Hepburn in 'Keeper of the Flame,' 1942. 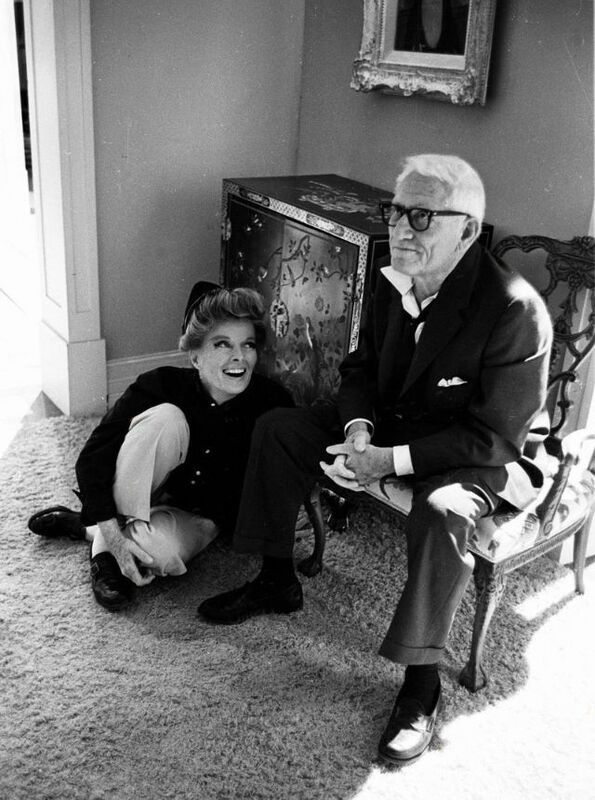 Katharine Hepburn and Spencer Tracy in a publicity photo from the film 'Guess Who's Coming to Dinner', 1967. Katharine Hepburn and Spencer Tracy in 'Desk Set,' 1957. 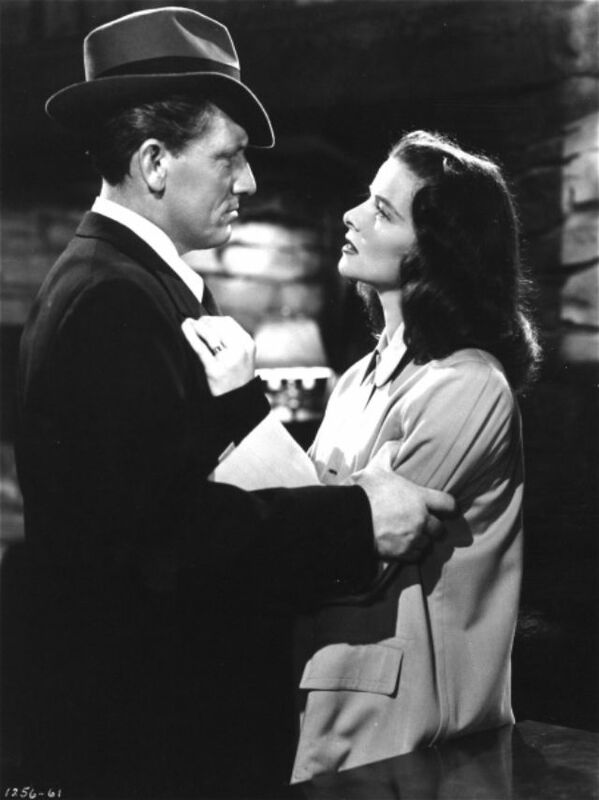 Still of Spencer Tracy and Katharine Hepburn in 'Woman of the Year,' 1942. 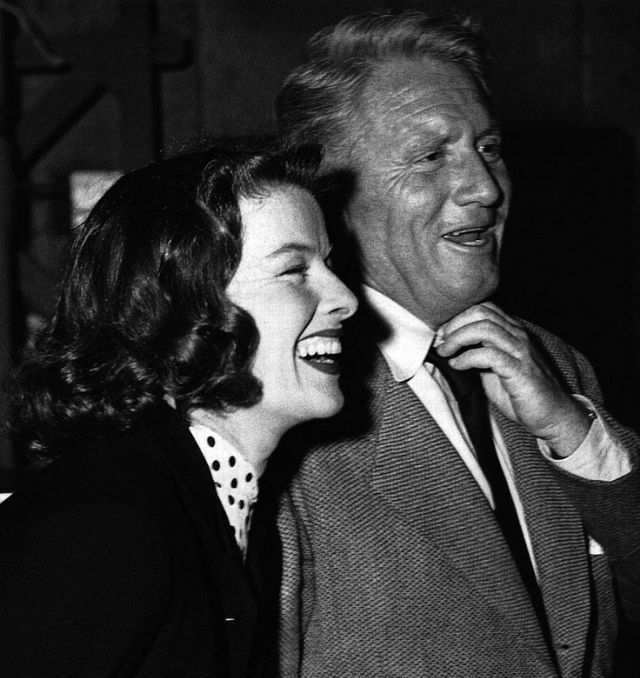 Spencer Tracy and Katharine Hepburn on the film set of 'Without Love', 1945. 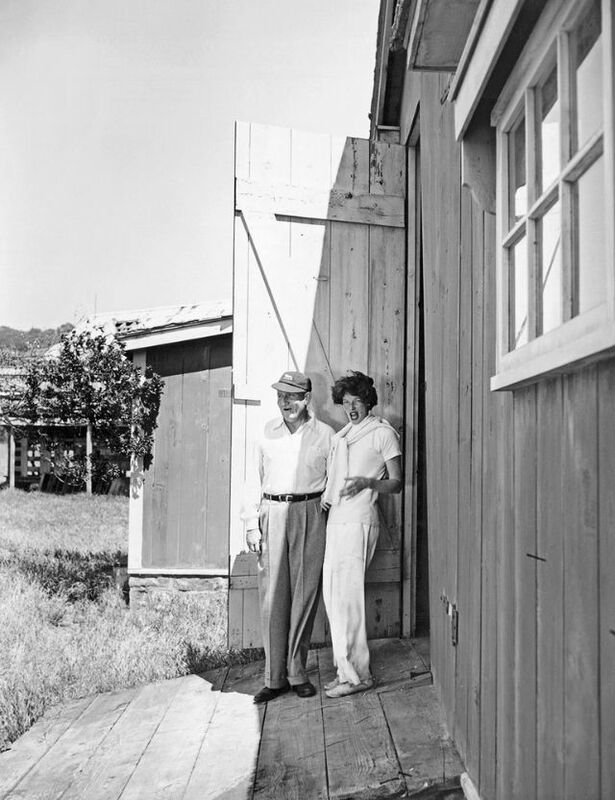 Spencer Tracy and Katharine Hepburn on the set of 'Adam's Rib,' 1948. 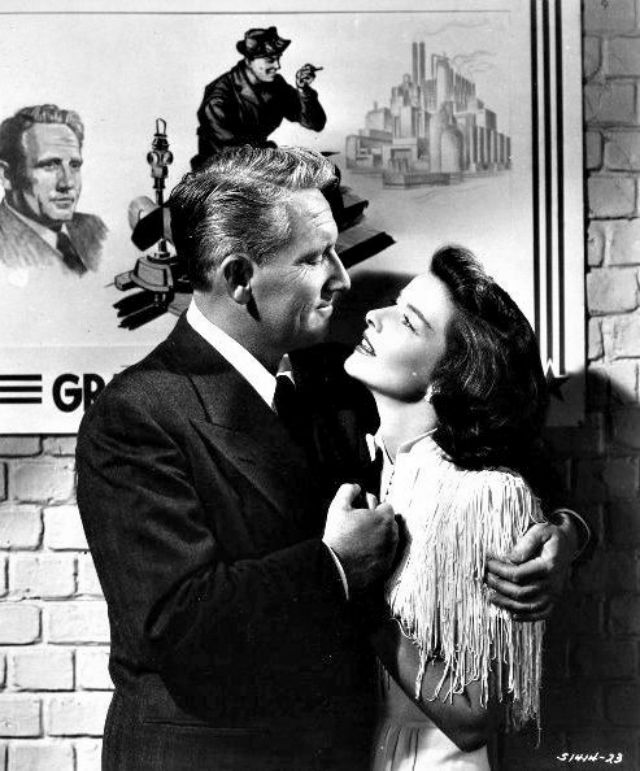 Katharine Hepburn and Spencer Tracy in 'State of the Union,' 1948. 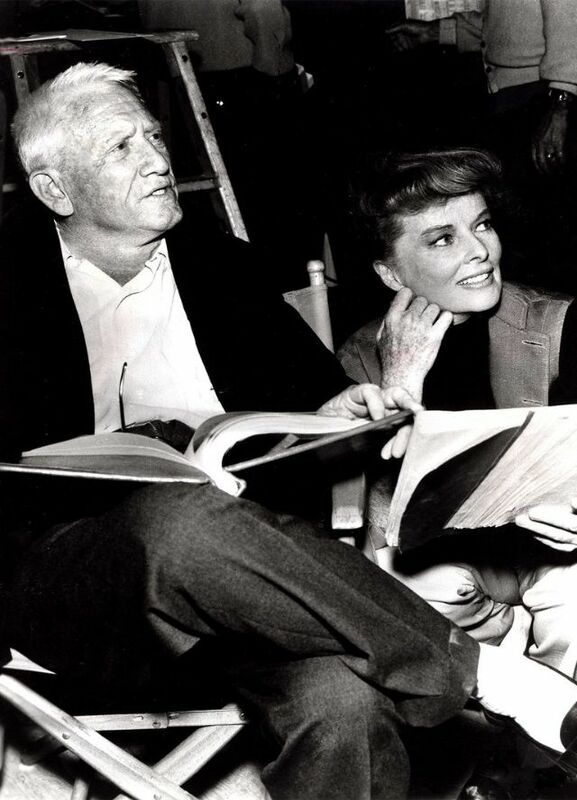 Spencer Tracy photographed between scenes with Katharine Hepburn in film 'Guess Who's Coming to Dinner,' 1967. 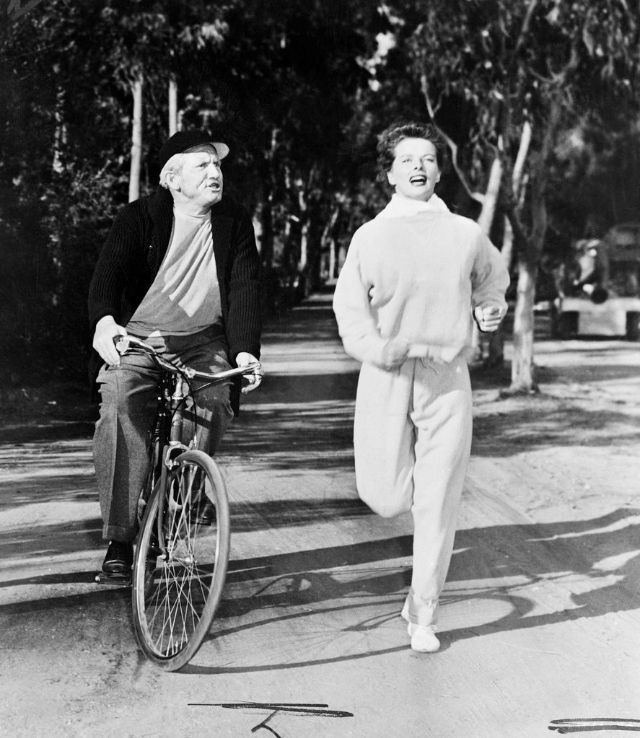 Spencer Tracy on a bike along side Katharine Hepburn jogging in a scene from 'Pat and Mike,' April 29, 1952. 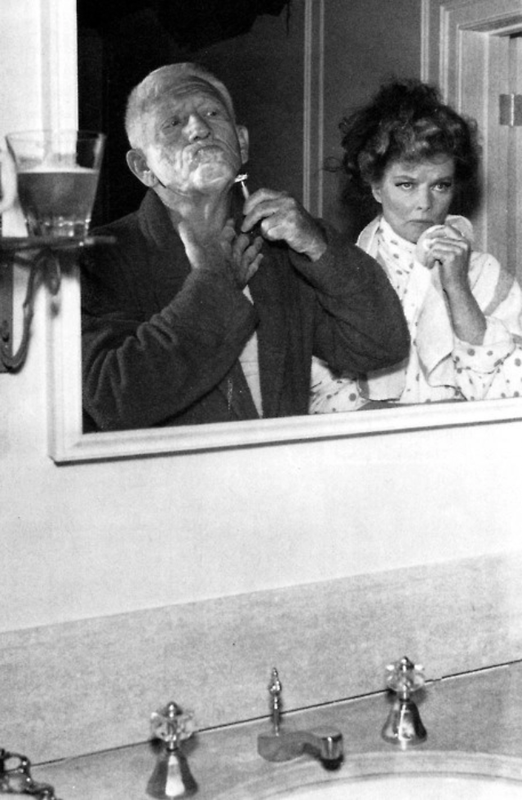 Katharine Hepburn and Spencer Tracy in a scene from 'Guess Who's Coming to Dinner,' 1967. 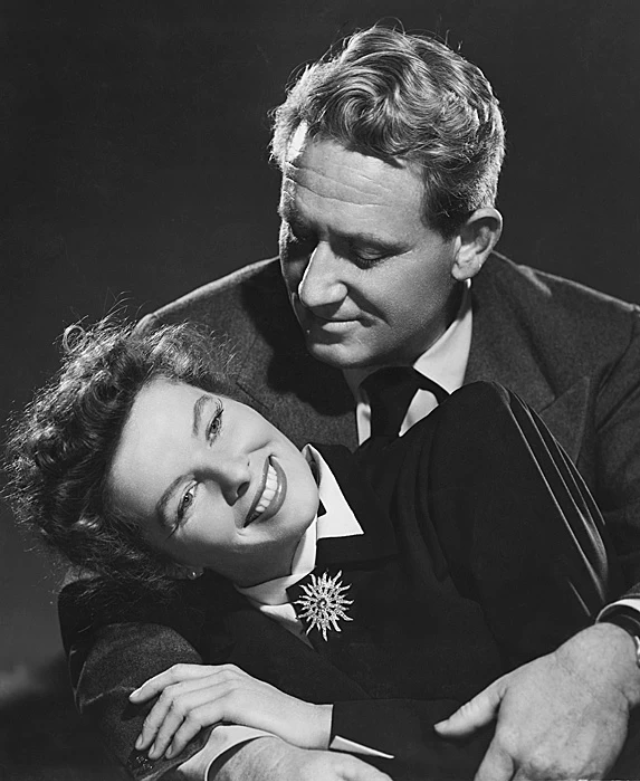 Spencer Tracy holding Katharine Hepburn in 'Keeper of the Flame,' 1942. 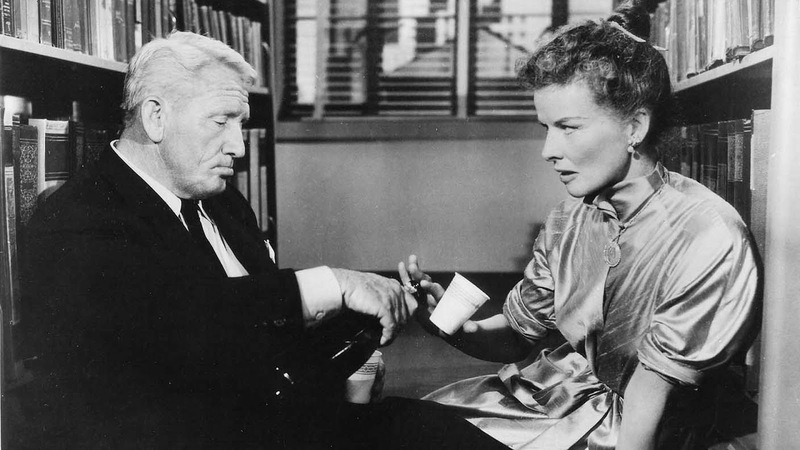 Spencer Tracy and Katherine Hepburn share a drink in a scene from the film 'Desk Set,' 1957. 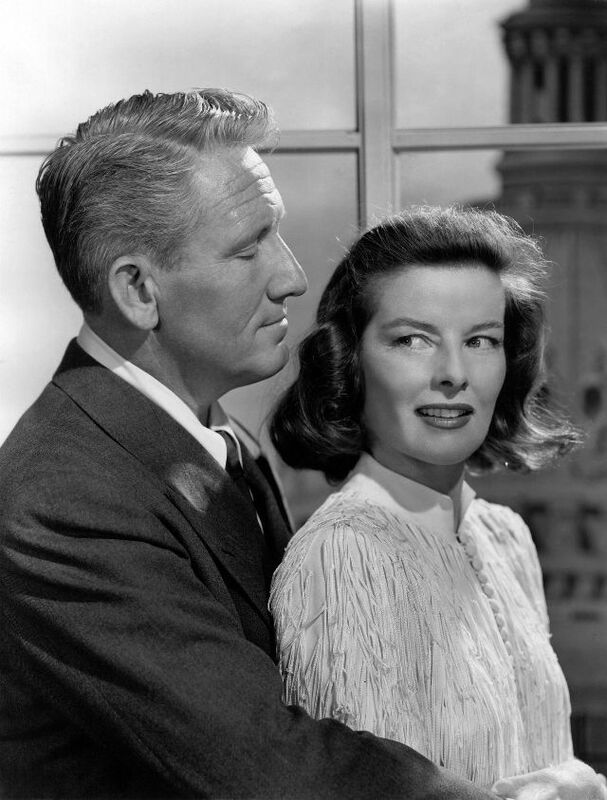 Katharine Hepburn and Spencer Tracy in 'Adam's Rib,' 1949. 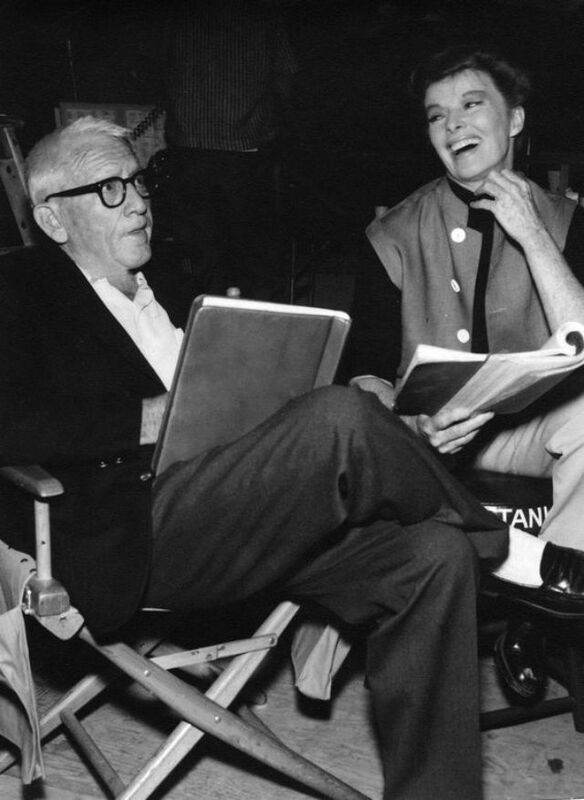 Spencer Tracy and Katharine Hepburn on the set of 'Guess Who's Coming to Dinner,' 1967. Katharine Hepburn and Spencer Tracy sitting in a car together enjoying a snack in a scene from the film 'Guess Who's Coming to Dinner,' 1967. 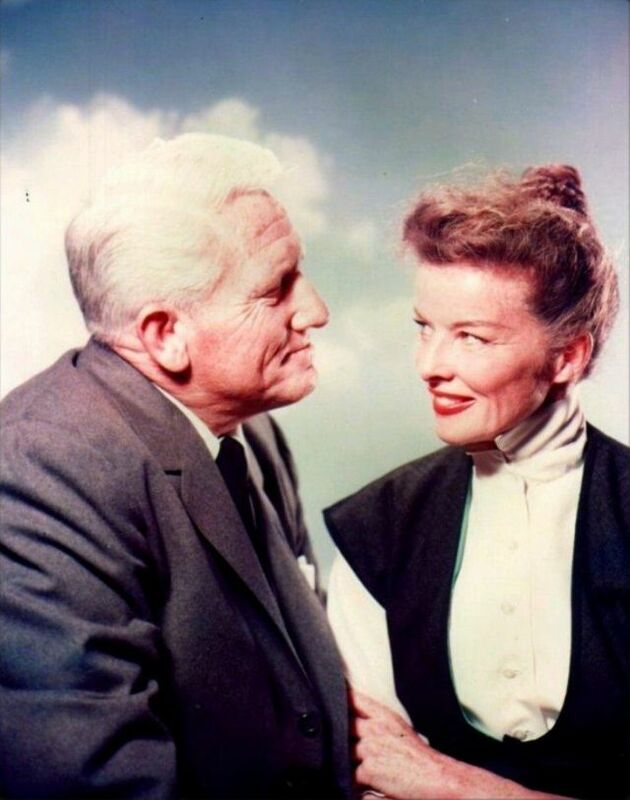 Katharine Hepburn and Spencer Tracy starring together in the film 'Adam's Rib,' 1949. 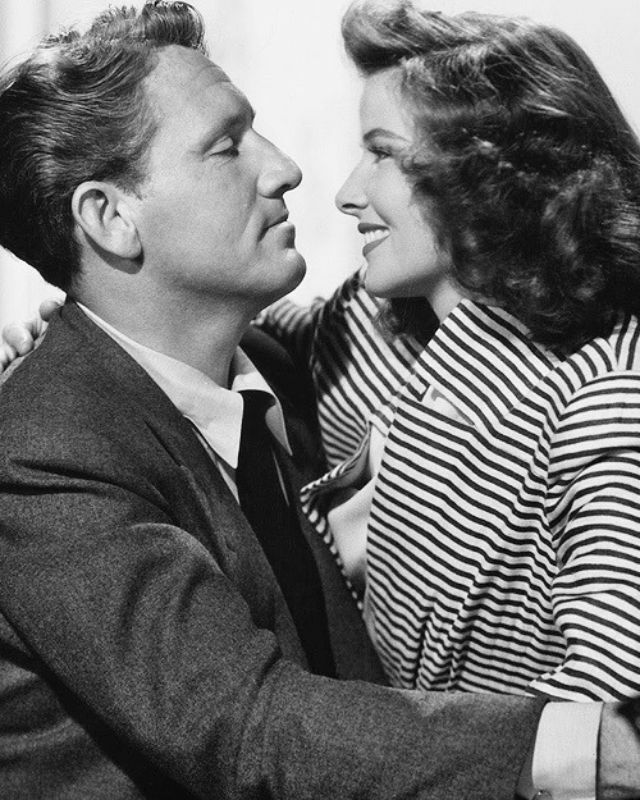 Spencer Tracy and Katharine Hepburn in the romantic comedy film 'Woman of the Year,' 1942. 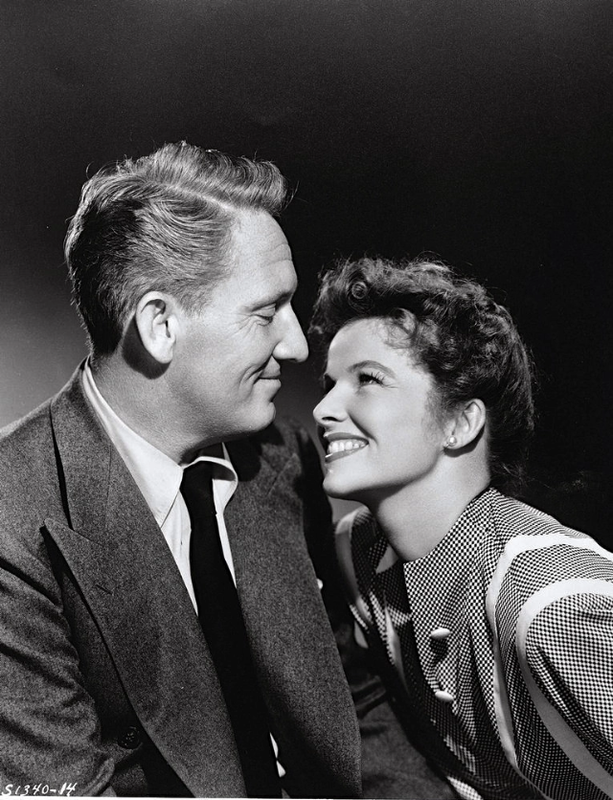 Spencer Tracy and Katharine Hepburn on the set of 'Without Love,' 1945. 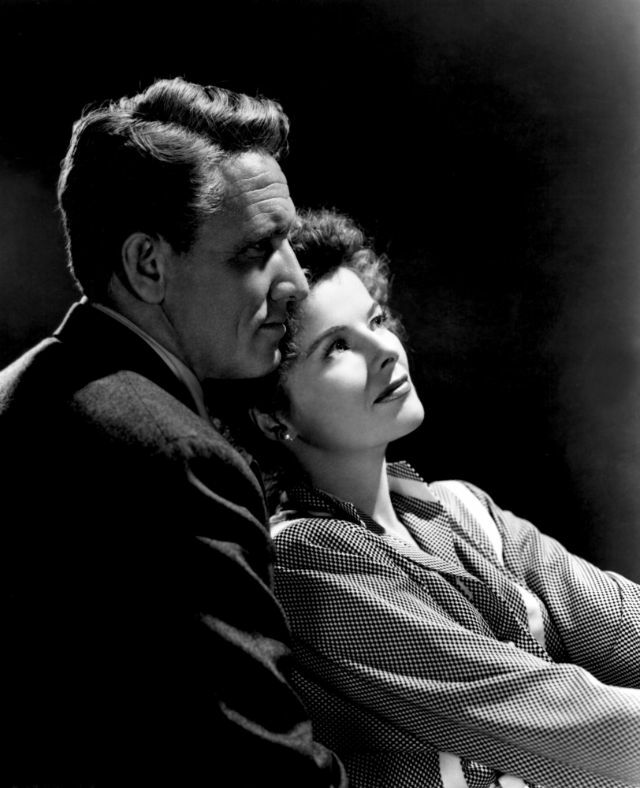 Spencer Tracy and Katharine Hepburn in 'Keeper of the Flame,' 1942. 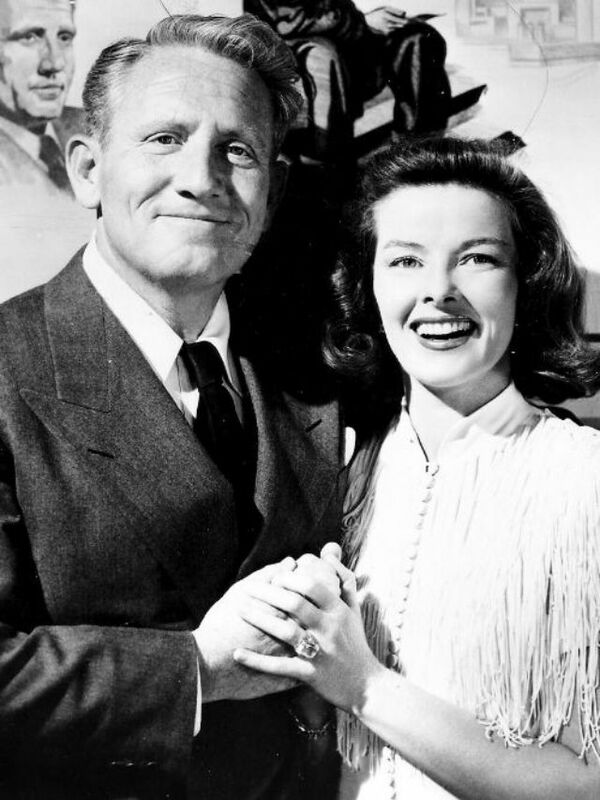 Spencer Tracy and Katharine Hepburn in a promotional image for 'Desk Set,' 1957. Katharine Hepburn sitting on Spencer Tracy's lap in his office in a scene from the film 'Woman of the Year,' 1942. 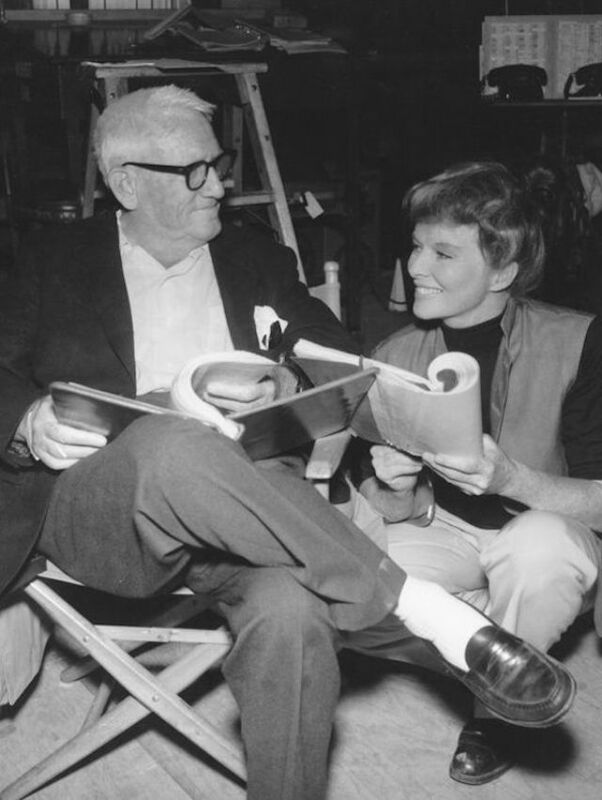 Katharine Hepburn and Spencer Tracy joking around on the set of the 1949 film 'Adam's Rib' directed by George Cukor. 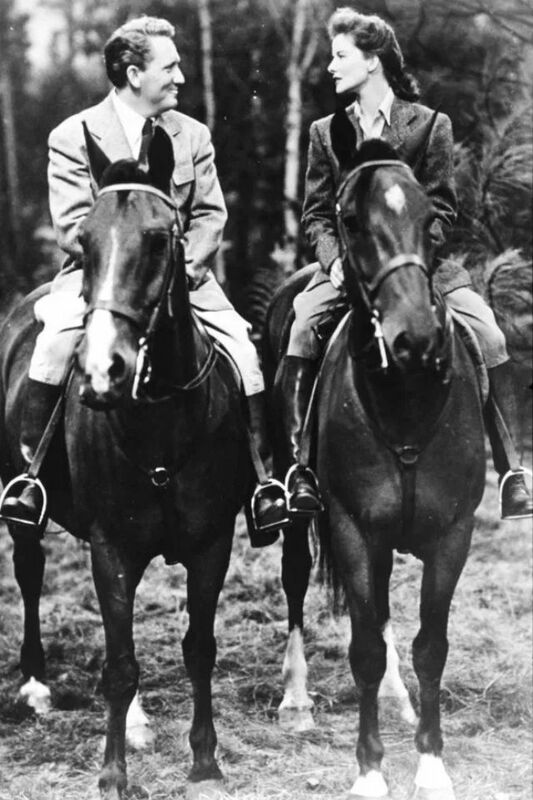 Photo by George Rinhart. Spencer Tracy and Katharine Hepburn kissing in a scene from 'Adam's Rib,' 1949. Katharine Hepburn and Spencer Tracy in the 1948 'State of the Union' directed by Frank Capra. 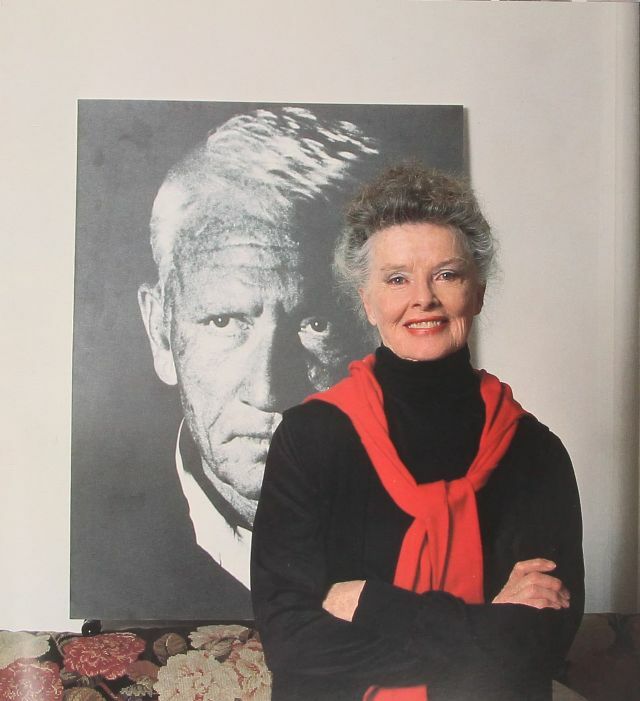 Katharine Hepburn standing in front of a poster size photo (her favorite, taken by Phil Stern) of actor Spencer Tracy in her townhouse, 1986. Photo by John Bryson.